Mark your calendar or set your DVR, here’s a list of some hit movies airing this week in HD. 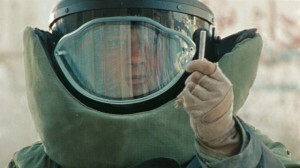 Highlights include The Hurt Locker, Up in the Air, and Inglourious Basterds. Be sure to check your program guide to verify dates and times. Please note the list includes premium networks which may not be available in your service package. Here’s the list for the week of Sept. 26, 2010. Broadcast in HD or don’t broadcast at all!